My crafty and creative nook! 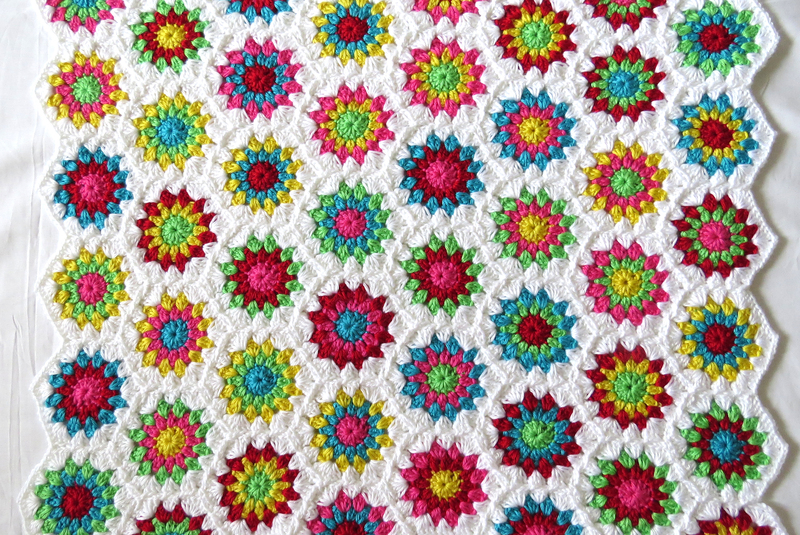 Follow me on Facebook for latest crochet updates!! Have a great crafty weekend. Loved my article, Share it!! To challenge myself a little I started lace knitting in this scarf for a friend. The pattern is super simple and easy to memorize.It is a free pattern and has a chart with it which turns out is far easier to follow for lace knitting. You can find free pattern for this scarf here. I just didn’t put in the nupp stitches. It took me a little over 3 months to make this super long scarf. But I am so happy with the end product. It is completely worth the time. And the yarn is gorgeous. I used Debbie Bliss Rialto Lace yarn for this and changed colors at the end of each skein. Hope you are having a super crafty weekend.. 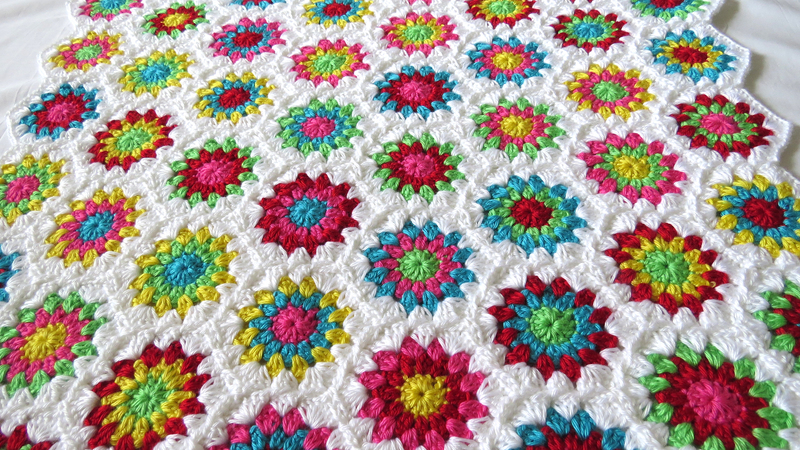 This fabric is so refreshing and bright. It was so much fun working on this. This pink triangle bag is now available on my madeit store. It has a wide base for holding more items and the white contrast handles are sewed in all the way down to the base of the bag making them really strong and durable. It is perfect for fitting all your knitting and crochet yarn, storing fabrics and, of course, for getting a lot of groceries from the store. Thick 100% Cotton Fabric. 100% renewable. Made in a smoke-free and pet-free home. Looking for gifts <$20? Useful as Gym bags, knitting projects bags. Customize it with different colors and sizes. Go plastic bag free today! As I get into sewing some more, I’ve really enjoyed using furnishing fabric as it is super thick for market totes. Here are the ones I’ve been working on this week. I learnt sewing the market tote on youtube and made considerable changes to the pattern. At some point, will definitely share the pattern for it as a more detailed blog. But here is what furnishing fabrics look like as bags. I buy these fabrics from IKEA and Lincraft. You can find their collection of fabrics online. These bags are super sturdy as their handles are sewed in all the way to the base. I think that a contrast of white handles brings out the design of the bag a little more. The idea is to be able to repurpose unused curtains into bags and use them for groceries. Reduce the use of plastic today. Let’s be more conscious towards the environment together! Please ship me some of your unused furnishing fabric and I can repurpose them into bags for you. Coming up I have an exciting knitted shawl project to start and my first quilting project underway. 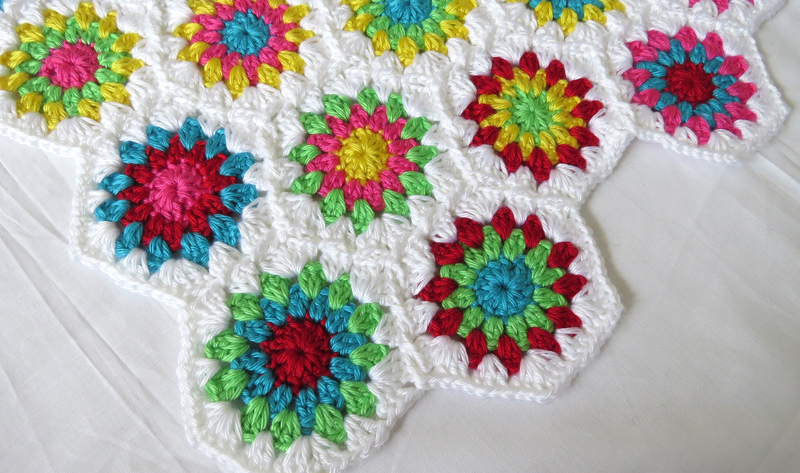 This past week I have been working on this super colorful crochet blanket. It has 5 colors and joining in white. After creating random squares on random granny square generator, I made all the rounds in three randomly chosen colors using this pattern. Finally, I joined them using continuous join as you go hexagon, the tutorial for this can be found here. I love continuous joining and this tutorial is really awesome. Saves a whole lot of time and ends to sew in. white, Harvest red, Lemonade, Blue Mint, Watermelon, and Limelight. I didn’t do any edging on this blanket. My husband convinced me that the staggered edge looks good. Now, I think so too. This blanket is now available on etsy. I am now working on a Fall themed blanket. Follow me on instagram (@anerdycrocheter) to get updates on the WIPs and some tutorials coming soon. Have a great weekend everybody.